It’s a beautiful day. Maybe slightly too hot, but not the blazing 25°C temperatures of the last week, which I’d been scared of. 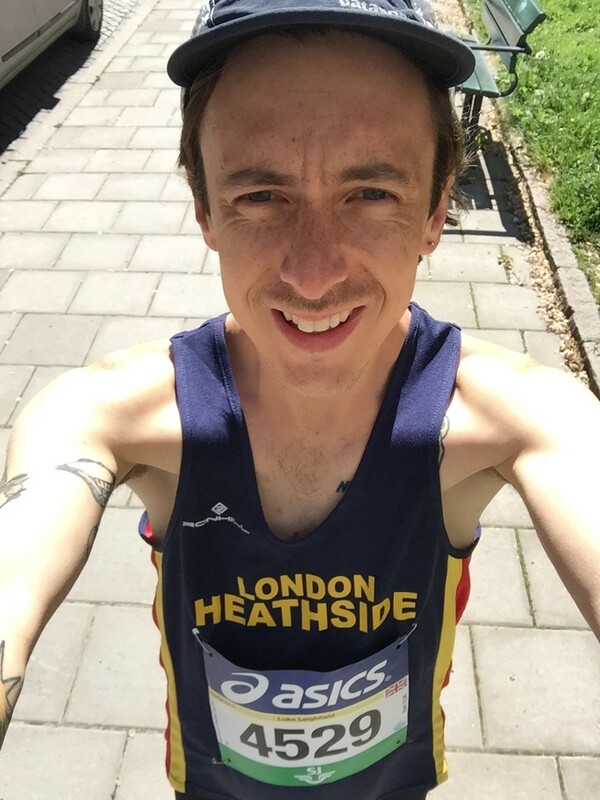 I walk the fifteen minutes to the start line from Kristina’s house with a spring in my step, sharing discreet nods and knowing smiles with the people I pass, who can tell what I’m about to do from my short shorts, skimpy vest and the huge race number pinned to my chest. It’s marathon day. I’d booked my place in the 2016 Stockholm Marathon months ago, as soon as I’d found out that I was moving to Sweden at the start of the year. When I first arrived in Gothenburg, back in February, the temperature was well below freezing. But I’d dragged myself out of bed before work four times a week, at 6:30 a.m. — racing through Slottsskogen and learning its many trails until it had become like a second home — in an attempt to be ready. The goal was to beat my 3:28 time from the 2015 Chester Marathon, shaving thirteen minutes off to make 3:15. In hindsight, it probably wasn’t the best idea to run two half marathons in the three weeks before the marathon. Not just run them, but run them — at race pace, pushing myself as hard as I could go. Although I’d tried to rest and eat well in the two weeks before Stockholm, a Swedish mini-heatwave had made it hard to sleep at night and I’d found myself tossing and turning into the small hours, meaning my body never found the deep rest it craved. 12:00 midday, Sunday 4th June. The gun sounds. Or, rather, the obnoxiously upbeat electronic pop ushers us over the start line and the endless beeping of timing chips being activated fills the air. The crowd is energetic and my body feels great as I start to break into a run. I find a 3:15 pacer a few hundred metres in the distance, speed towards him, then settle in behind, planning to stick to him like white on rice for the next few hours. For the first 16 miles, it’s going well. And then, suddenly, it isn’t. I feel okay aerobically — I‘m not panting or sweating profusely, and the pace, while swift, doesn’t feel unmanageable — but my legs are empty. My calves are like two weighty chunks of meat, refusing to cooperate with the rest of my body. The pacer gradually slips out of my sight and as I feel my 3:15 goal disappearing, my mood sinks and I start to walk. I hope it’s just a blip and that my energy will come back, like it sometimes mysteriously does in races, but every time I start to run, I’m only able to keep it up for a mile before cracking again and slowing to a walk. I eat and drink everything I can get my hands on at the stations — bananas, water, energy drink, coke, more water — but nothing has the restorative powers I crave. And as I cross the finish line at 3:38 with my arms aloft — in relief more than celebration — I don’t know whether to chalk the day up to failure or victory. 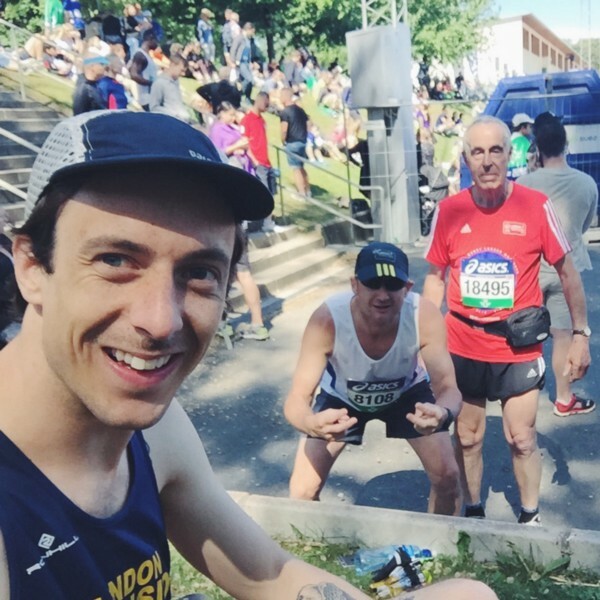 In the 24 hours since I crossed the line, I’ve been thinking about why I run. The start of the marathon was fun but I could happily have gone home at the halfway point. The last half was deeply unpleasant. I’d done the training and thought that my goal time was not only within reach but — if there was any justice in the world, as Lemar once sang — deserved. But running isn’t like that. 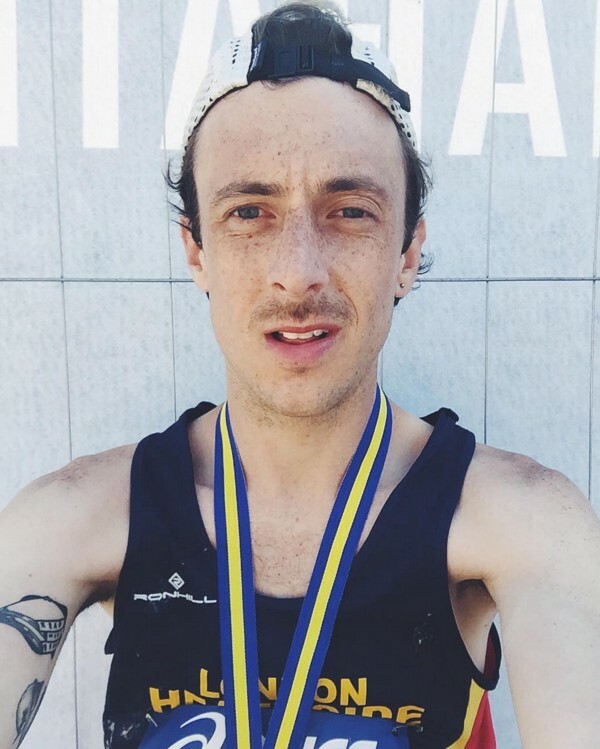 Each race “is an adventure into the unknown” as my friend and fellow runner, Paul, wrote on my Instagram post about the marathon. You can do all the training and try to eat and rest well, but it can all go wrong on the day for a multitude of reasons: the weather, your mind not being in the right place, your body not doing what you will it to do. There are no guarantees with running. It’s especially frustrating because you can’t simply try it again the next day, like a skateboarder attempting to master a new trick or a writer trying to craft a blog. Your body needs time to recuperate between marathons — if you want to run them well, not just finish — so it’s going to be a few months before I can have another crack at achieving that 3:15 time. I’m desperately impatient but perhaps that’s why I need running in my life: to learn that I can’t have it all right away. I love the way my body feels now, one day after the race. My legs are tired but they’re still working okay. My shoulders ache from tensing up and pumping my arms for nearly four hours, and they’re a little weather-beaten from the Stockholm sun. But there’s something beautiful about your body feeling used, knowing that you pushed it to the limit for no other reason than because you can. I want to live life to the absolute fullest, to number my days (as my tattoo reads on the un-sunburned part of my chest), and running a marathon is one of the best ways I know to do that. But I’m also sick of the pressure I put on myself to achieve times. While they can be, and have been for me, a powerful motivator to train hard, they can also kill your joy on race day — as soon as I lost that 3:15 pacer, I was broken. What’s the point in running if I can’t get the time I want? Over the coming weeks and months, I’m going to try to change things up and see if I can rediscover the simple joy of running. Maybe leave my running watch behind and stop focusing on pace. Just run to the lake, jump in for a swim and run home again, simply for the joy of running, the joy of being in nature, the joy of movement. I’m proud to call myself a runner, and privileged to learn a little more with each painful, frustrating race.